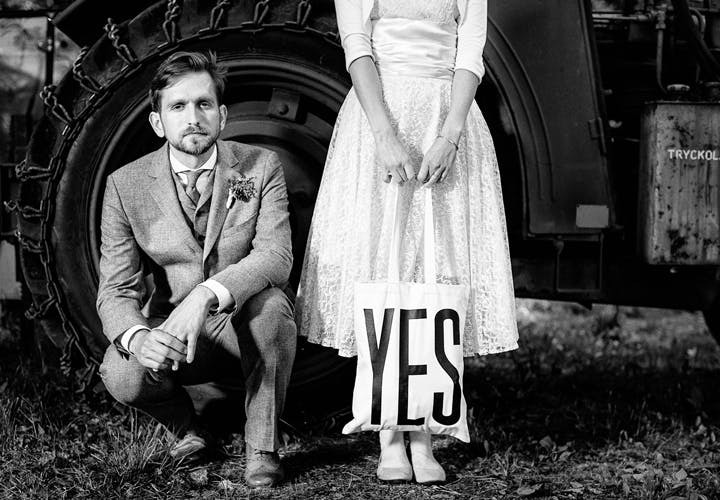 We received a lovely email from one of our customers this week telling us how much she loved using our 'Yes' tote at her wedding. We were so happy to receive this stunning photo along with her email, taken by the brilliant David Brohede. It really makes our day when customers get in touch with sweet emails, especially when they send photographs of our bags being used. This is one of our absolute favourites. p.s If you have a photograph showing one of our items in use that you would be happy for us to share please do email us at hello@alphabetbags.com and we may feature it on our blog!